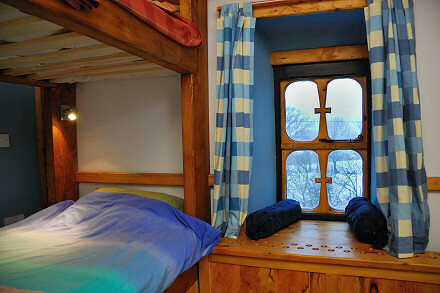 Second bedroom is also situated on the first floor. 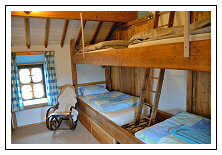 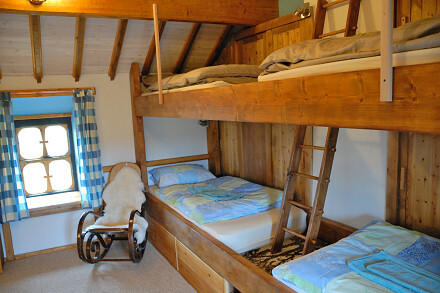 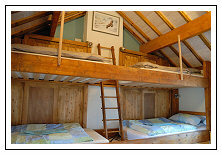 Four full sized bunk beds have been attractively built into the main structure of the building. 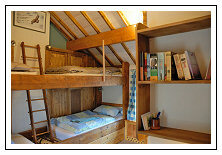 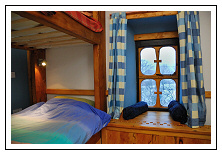 Each bunk is completely private with dividing wall, curtain, reading light, double socket, shelf and storage space. 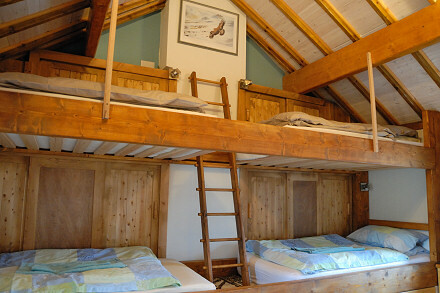 Two of the bunks even have wired broadband outlets. 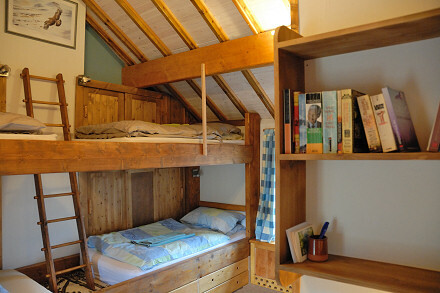 The room is also open ceiling with all timber frames visible. 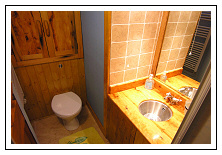 An en-suite power shower, sink, toilet and towel rail service this room. 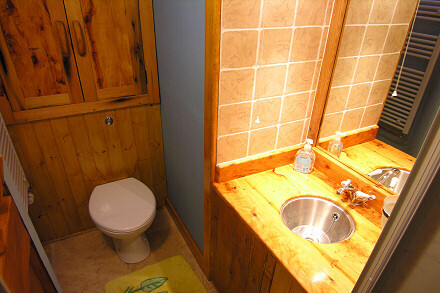 Flooring is covered by wall to wall carpet.